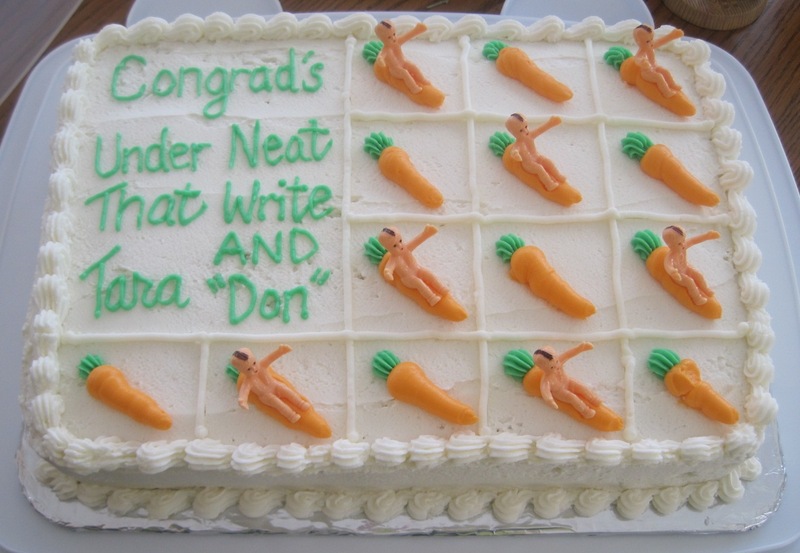 My friend Dani asked me if I could make a cake for her for a baby shower she was attending. She wanted me to recreate the Naked Mohawk Baby Carrot Jockey cake featured on the popular Cake Wrecks blog. I was excited to take this on, and the first thing I did was head to Party City in search of tiny plastic babies. I did manage to find some, although they didn’t have mohawks. But no matter, I had a Sharpie 🙂 The cake was 9×13 and it was Funfetti. The icing was Wilton’s vanilla buttercream recipe. I’m not sure about this icing recipe. It tastes good – it does taste like bakery icing – but it’s very thick. I added additional milk to try to thin it so that I could pipe with it, but it still wasn’t thin enough. For the icing that I tinted green and orange, I added corn syrup to try to thin it even more. The taste was suffering by then, and I still wasn’t happy with the consistency, but I went ahead and made do. The last couple of times I made this icing, I cut back on the sugar by about a 1/4 to a 1/3. I think I should go back to that, as it keeps the icing thinner. I love the consistency of cream cheese icing, but I don’t know how to get that with buttercream. I really want to try a different type of buttercream (like Italian) but I’m terrified when the recipe calls for two pounds of butter. I can feel my heart exploding already. All icing issues aside, the cake went over well and was liked by my friend and that is what matters! And believe it or not, this was the first time I actually hauled my Kitchen Aid mixer up from the basement and used it. I’m in love. 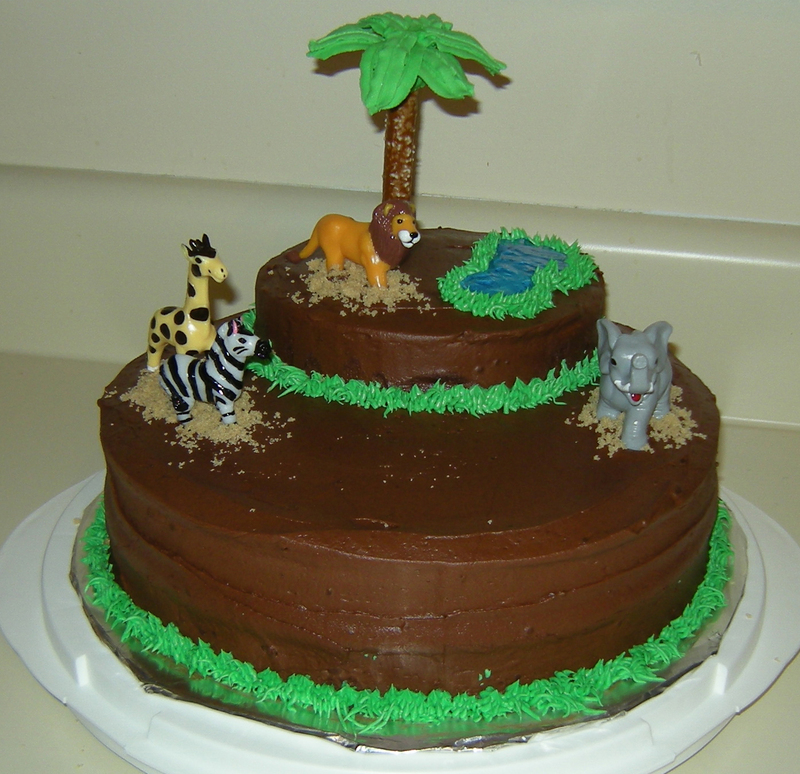 It lives on top of my refrigerator now – easy to reach for my next cake, which incidentally, will be for this coming weekend! You are currently browsing the Decorate This blog archives for January, 2010.